I'm thrilled! My daily visit to the Etsy homepage got me to clicking around and pow! 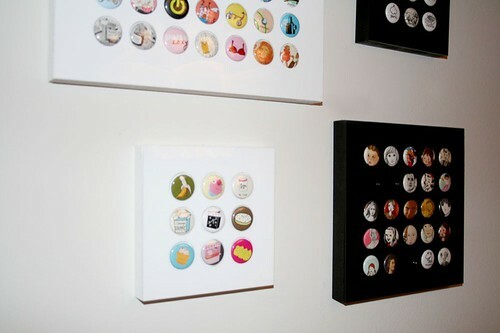 I landed on a little something special called Button Collective. Remember this post, where I blogged about how much I love badges (buttons, pins, you know those things), but since I'm not 17 I really can't see wearing them on my jacket? And I talked about how I think it would be great to find some cool way to display them as art? 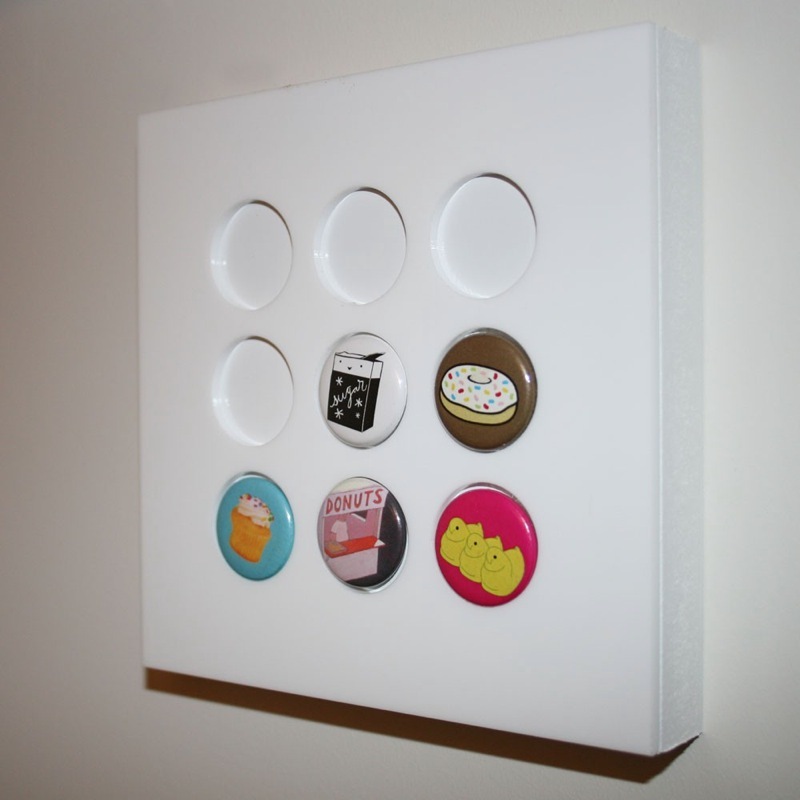 Button Collective has a terrific solution. Check this out. They have these cool button display boards called storyboards where you can show off your prized collection of badges. Outside of using a shadowbox, this is a really clever display option. They come in all shapes and sizes, white or black.